There are no comments for Swinging Boy Tarzan. Click here to post the first comment. Based on Edgar Rice Burroughs character, Tarzan: Lord of the Jungle. 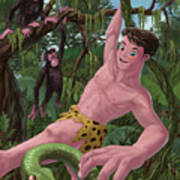 This illustration shows a young Tarzan swinging through the vines of a jungle, about to grab a snake. Some monkeys are watching from a nearby tree. The painting is composed with a wide angle in mind. 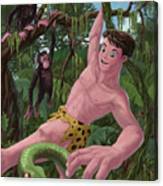 The snake and hand of Tarzan are very close to the viewer, to add impact. 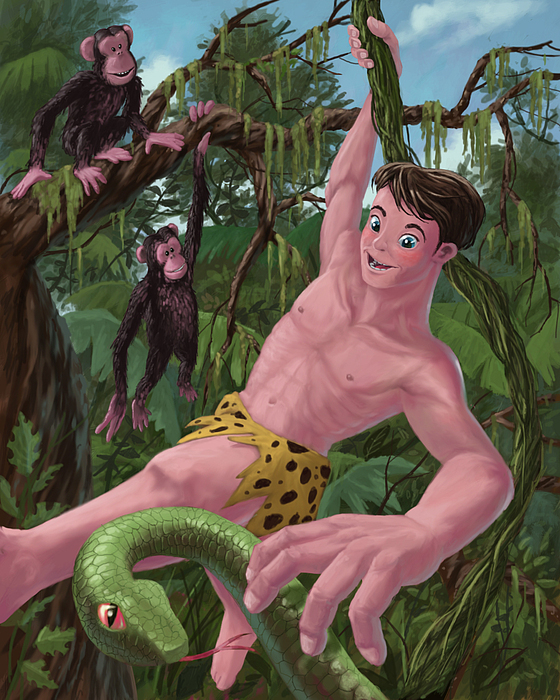 Digitally painted in 2009.